Posted September 14th, 2009 by Brahm Canzer & filed under Uncategorized. Description: — Cadbury Plc, the worldâ€™s second- biggest confectionery company, said an unsolicited takeover offer from Kraft Foods Inc. is an â€œunappealing prospectâ€ due to its rivalâ€™s business model and â€œlower growthâ€ prospects. Comment on the valuation offered by Kraft? Do you think the offer is fair? Explain your answer. Why would this merger make sense to Kraft? Explain your answer. What synergies might there be between these two firms? Description: Motorola Inc shares rose 6.5 percent on Friday on hopes the company could turn around its loss-making handset business with the new cellphone it developed with Google Inc.
Do you think Cliq will find a share of the smart phone market? Explain your answer. Do you think Cliqâ€™s special features warrant such great investor confidence in the Motorola? Explain your thinking. Posted September 7th, 2009 by Brahm Canzer & filed under Uncategorized. Description:Â Executives, policy makers & educators at Emory’s School of Business opine on the state of the recovery in a NYSE panel. Summarize the comments made about the state of the economy. What is your own view of the state of the economy? Which corporate finances are likely to improve over the next quarter and which will likely remain strained? Explain your thinking. What are some consumer products that have changed from â€œexpense itemsâ€ toâ€œinvestmentsâ€ and visa versa? What are some business products that have changed from â€œexpense itemsâ€ toâ€œinvestmentsâ€ and visa versa? Description: All you 480 million Skype users out there should be rejoicing today, now that the Internet calling and video service has been freed from the clutches of eBay. As was announced this morning, eBay is selling a 65% stake in Skype for $1.9 billion in cash to a group of private equity shops and venture capitalists. Do you think the partial sale of Skype was motivated by the concern of a lower value in the near future? Explain your thinking. How is this news good financially for eBay? Assuming an IPO is planned for Skype, how can this deal help Skype? eBay? Explain your answer. Description: The Securities and Exchange Commission may create a â€œfraud collegeâ€ to train staff in detecting market abuses after the agency failed to stop Bernard Madoffâ€™s $65 billion Ponzi scheme, Chairman Mary Schapiro said. Do you think this effort will help prevent abuse? How would you police fraud in financial services? Explain your thinking? To deter fraud, would you encourage imprisonment or financial punishment for criminal wrongdoing? Explain your thinking. What would your approach be for dealing with someone like Bernard Madoff? Dainippon to buy US drug firm Sepracor for $2.6 bln. Description:Â Â Dainippon Sumitomo Pharma Co Ltd (4506.T) agreed on Thursday to buy U.S. drugmaker Sepracor Inc (SEPR.O) for $2.6 billion, giving the Japanese firm a big, local sales force in the world’s largest drugs market. The deal is the latest in a string of overseas acquisitions by Japanese drugmakers keen to grow outside a mature home market and build product pipelines before key drug patents expire. What are some of the main reasons â€“financial and otherwise, this deal makes sense for both sides? Are there any downsides to this deal for anyone? How else can these firms grow? Explain your answer. Posted August 31st, 2009 by Brahm Canzer & filed under Uncategorized. Former US Comptroller David Walker says the cost of health care reform will increase the long-term deficit. Summarize the comments made about the state of the economy and taxation. How might a national health tax and government run insurance plan that removes individual organizations from direct responsibility for employee insured programs be considered financially good for organizational finances? How would a universal health program affect those corporations directly involved in the health care field such as pharmaceutical, insurance, hospital, and hospital supply firms? AIG’s stock closed at $47.84 on Thursday. At the start of the month, shares were trading at a mere $13.14. What’s going on here? Summarize the reasons given for the remarkable rise is AIGâ€™s stock market value? What do you think of the governmentâ€™s decision to help refinance AIG through preferred shares? Explain your thinking. Do you think the share value behavior would be different if the government ownership was through regular common shares? Explain your thinking. Making money on the thinking of Nouriel Roubini isnâ€™t what it used to be. The New York University professor, who in 2006 foretold the worst financial unraveling since the Great Depression, has yet to say the economy is worth investing in again. â€œThere is a big risk of a double-dip recession,â€ wrote Roubini, also known as Dr. Doom, in his column in the Financial Times this week. What do believe small or large investors should do with the plethora of advice available? 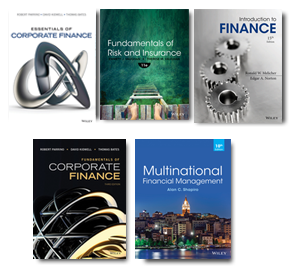 How do you think corporate finance managers should view the current environment, with respect to hedging foreign corporate earnings and commodities prices? What is your own view about the current and future state of stock markets, currencies, and commodities? Worries over high unemployment pushed U.S. consumer confidence to a four-month low in August, while spending rose modestly in July, indicating the economy’s recovery from recession would be lethargic. As a corporate finance manager planning inventories and projected cash flows for the last quarter of the year, how would you interpret this economic information in terms of future financial impact on your firm? Would you increase or decrease your inventory levels if you were an electronics firm such as Samsung or Sony? Would you be optimistic or pessimistic about sales this coming holiday shopping season if you were working at Best Buy? Which businesses do you think should be more aggressive in stocking their inventories and which should be more conservative? Explain your thinking.